Kim Norman is a word wizard. She masters word play whether writing in rhyming verse or prose. Her writing is lyrical and her word combinations mimic musical sounds. Before she became an author, Kim was a graphic artist. She is also a thespian, a singer (with a beautiful voice I might add!) and songwriter. It’s no surprise with all her talents that she is very popular on the school visit circuit. Kids, teachers and librarians adore her presentations! Kim is also a giver. 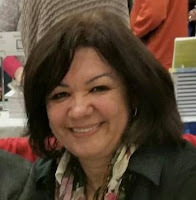 In addition to guest posting for blogs, she started COOL SCHOOL VISITS, a website with loads of information to help other authors plan fun, interactive school visits. Authors can also request to be included on her AUTHOR VISITS BY STATE page. 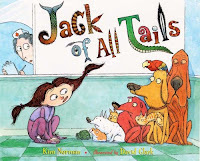 Although Kim preferred writing in rhyme, she read agents and editors didn't like rhyming stories so wrote her first book, JACK OF ALL TAILS, in prose. In this story, her main character is determined to be a successful part of the family business. They pretend to be animals and rent themselves out to pet loving people. But when the girl gets fired over and over she learns success is finding your own talents. Like the main character in this story, Kim stuck with her natural talents too - writing in rhyme! These rhyming texts are great examples of the extent of her talent. Kim is a natural at using alliteration. These books showcase her songwriting talents. 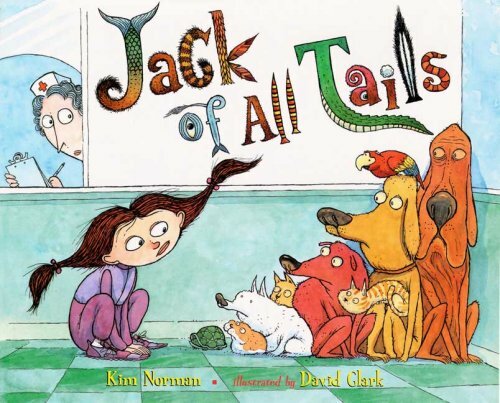 Kim Norman's books are excellent mentor texts that highlight lyrical language combined with humorous, engaging child-centered stories. Her writing style invites kids to shout, "Read it again!" over and over. And they are really fun for adults to read aloud too. Keila Dawson is a ReFoReMo Contributor. She’s hiked the rice terraces in the Philippines, climbed Mt. Fuji in Japan, and Mt. Sinai in Egypt. Keila finds adventures in picture books too. When she isn’t traveling, reading or digging in genealogical archives, Keila is writing and visiting schools. She enjoys sharing her love of Louisiana and world cultures with others. THE KING CAKE BABY, her debut picture book released in 2015, by Pelican Publishing Co., Inc. I'm so impressed, Kim, I shared on Blogger! Thanks for sharing. I do believe Kim is a wizard! Great post! Thank you Keila and Kim! Oh my goodness, Keila, this is lovely. Thank you!! And thank you, Carri and Kirsti for this terrific blog! Thank you Keila and Kim for sharing Kim's books. Finding mentor texts can be difficult and I thank you, Carrie and Kirsti, for ReFoReMo! Welcome! It's fun to study great books, isn't it?! I LOVE Kim's books, but I see there are some I haven't read. Will have to put them on my TBR list. Also, thanks for letting us know about her Cool School Visits website. It looks extremely helpful. Thanks, Keila and Kim for being so generous and sharing! Kim's books are so well written. Her word choice is spot on. Hope you find those you haven't read, I know you will like them Jilanne. We recently read STILL A GORILLA and my kids loved it! Thanks for sharing. Thanks for stopping by. I adore the artwork in STILL A GORILLA! What terrific sounding examples. I look forward to reading them all. I love rhyme:) Thanks for the post! I know you will enjoy the stories and the writing. Read on! YAY! All fun stories and so well written. Great post, Keila! My favorite is Puddle Pug so far, but I have yet to read them all. Fun research! So much fun! Also great resources for us as well (school visits). Thanks for sharing your success story! Welcome Angie. Thanks for stopping by! Welcome. I think you will enjoy them. Great post, Keila! I can't wait to read these books! I love Jack of All Tails. What a great storyline! So clever! Thanks for stopping by Jane. I'm sure kids love Kim's school visits and what fun word play. Thanks for the great post, Keila.